At Gutwein Quality Doors, Inc, we have sold, installed and repaired garage doors and entry doors systems in Central Illinois since 2001. We are a family-owned business with old-fashioned service and values. Customer satisfaction is our main concern and we strive for it daily. Because our customers deserve only the best, we carry only the finest products. We always strive to give our customers more than they expect in service and quality, and would be happy to give you an estimate for your next Residential, Commercial or Agricultural door project! Or, if you are just needing service, we would be pleased to schedule a service call at a convenient time for you! Our product line includes: Garaga, Clopay, Chi, Us Aluminum, Ditec‑Entrematic, Ceco, Special Lite, LiftMaster & more. Complete our quotation form on line or feel free to call us. We can easily bring samples and brochures to your home and give you advice on this important purchase. To get a top-performing garage door system, your door opener has to be carefully chosen. After all, your garage door is the largest moving object in your home. Your door opener has to be dependable to avoid any problems. At Gutwein Quality Doors, Inc, we only sell and recommend the best garage door openers that are built to last: LiftMaster. The manufacturer, Chamberlain Group, by always using first quality components, design the safest door opener brand. Their openers can be used for residential, commercial, industrial or agricultural applications. Visit our door opener section to learn more about their features. For the best operating garage door system, an installation done correctly is essential. 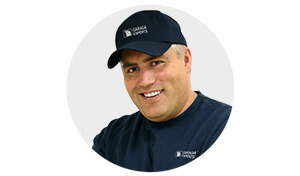 Garaga has certified our team as one of their Garaga Expert. This certification guarantees you only receive services from technicians trained according to the most rigorous safety standards. We glady serve a wide area of Central Illinois including Bloomington, Pontiac, Dwight, Gibson City and Fairbury. As well as the south side of Chicago. Get in touch with us simply by calling at 815-692-6690. We’ll be pleased to serve you! Bloomington, Pontiac, Champaign, Dwight, Chenoa, Forrest, Fairbury, Gibson City, Normal, Morris, Gridley, El Paso and Chatsworth.